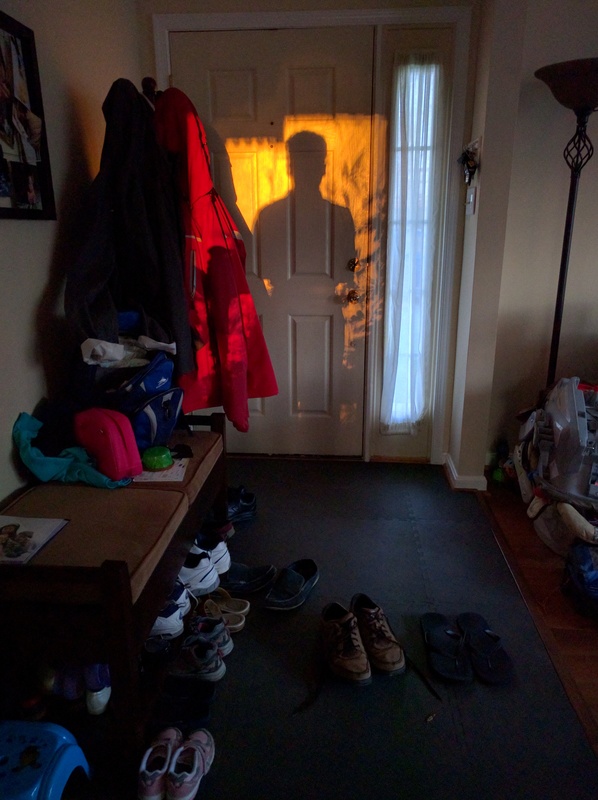 On my way out of the house in the morning, and this great bit of art just happens due to the sun being in just the right place. I’ve never seen this in the half dozen years I’ve lived here. But this morning, it was there to give me a little mood lift.